America’s steel and aluminum tariffs had the potential to impact Canada’s economy and NAFTA as a whole. This had welding equipment and gas suppliers in Brampton and the GTA worried. White House trade advisor Peter Navarro claimed that the tax would be so miniscule; it would increase the price of an aluminum can six pack of beer by 2 cents. However, Canada exports 90% of it’s steel to the United States. That counts for 16 percent of the United States’ steel imports and 41 percent of America’s aluminum imports, so those two cents could’ve added up to quite a lot, enough to hurt Canada’s economy significantly. The original goal was to petition for a full exemption for Canada, because of their integral and strategic role in supplying aluminum and steel to the United States. Although a full exemption wasn’t the exact outcome, Canada received an exemption of sorts. President Trump delivered an eleventh hour stay for many trade partners, including Canada, European Union countries, South Korea and Mexico, citing that the main target of these tariffs was China. This is relatively good news from our southern neighbors and our largest steel and aluminum buyer, however, the news media are using phrases like “a stay has been issued for now”, which suggests that the US hasn’t given up on this tariff. But, hopefully Canada has seen the last of it. How Would This Have Affected Gas Suppliers In Brampton And The Greater Toronto Area? 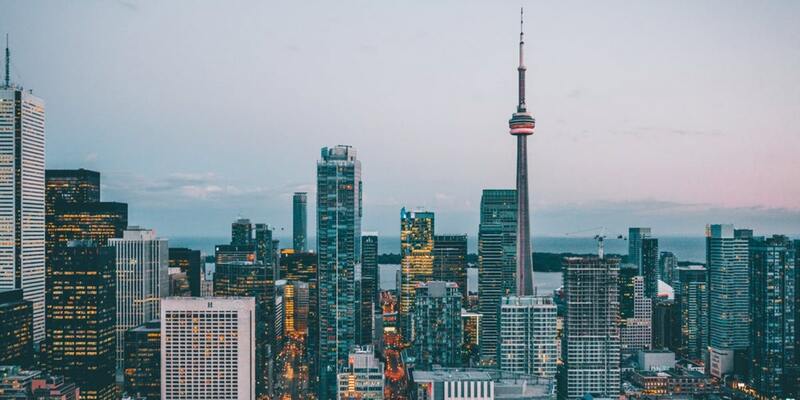 Gas suppliers in Brampton and the Greater Toronto Area would have been affected if the cylinders and equipment they use were bought and manufactured in the United States from foreign steel or aluminum. Canadian steel and aluminum producers export to the United States, as do many countries. The US then uses that steel and aluminum to manufacture items, like cylinders and other equipment. The 10 percent tariff on aluminum and the 25 percent tariff on steel would have undoubtedly caused the price of manufactured steel and aluminum items to rise, because they would be more expensive to produce. This would also have made aerospace, auto parts, defense equipment, and other aluminum and steel manufactured goods much more expensive to buy. Because there is a stay on the tariffs, the threat to gas suppliers in Brampton and the GTA has been relieved for the moment. At Josef Gas, customers come first. We’re dedicated to keeping you informed about any changes in our prices due to outside forces, like trade tariffs. Contact us for more info on how we keep you informed and protected. One of the most popular fuel sources among businesses is propane. Propane gas in Brampton and the surrounding areas is convenient and clean burning. It’s affordable and it can be stored safely for long periods of time. Best of all, it’s very versatile, with a wide variety of uses. It’s not just for firing up the grill, but it can also be used for vehicles, generators and other equipment. 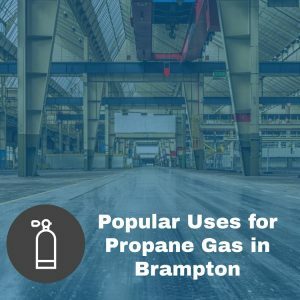 Here are the most popular uses for propane gas by Brampton businesses and businesses in the surrounding area. Heaters.When you think of propane gas, people don’t usually think of heaters, but propane-powered space heaters can really warm up warehouses, garages and other building with sparse heating. An advantage is how the heater can be moved to supply heat exactly where you need it. Also, propane can be stored outside, even on days when the temperature drops to below zero. Forklift.Propane is often used to fuel forklifts because it burns so clean. It can also be stored safely indoors and outdoors. This allows you to store propane in larger quantities, so you have access to it when you need it, instead of having to order and wait for more volatile fuel. It’s also a very cost-effective fuel, which makes it an ideal choice for medium to large machinery like forklifts. Generators.Power losses create financial losses, but they can also be life-threatening. Generators serve a critical function, they help businesses to stay open and they keep critical machinery running like heart and lung machines and incubators. If you already have equipment that runs on propane, then a propane generator just makes sense. You won’t need to get special fuel and the same rules apply to the generator that apply to forklifts and heaters, propane is easily stored in both hot and cold temperatures, which makes it ideal for fueling your business. Does your business rely on propane gas? Then Josef Gas is your reliable propane supplier. We have the largest propane storage in the GTA and we have a propane supply plan that’s right for you. Call us at 416.658.1212 or email us at info@josefgases.com for more information on how we can supply propane gas to Brampton businesses and beyond. Running out of fuel can cost valuable time and money, which is why it’s most businesses’ biggest concern. This is especially true for companies who use forklift propane in Brampton and the surrounding GTA. But how can your company gauge how much fuel you need per cycle? We can help you through that process. Take the number of full cylinders times the number of deliveries you get in a year. Convert that into gallons, and then compare that number with how many gallons you buy per cycle (remember you may buy a certain amount, but you might not use them all). Choose the number that is the highest. The higher number factors in high capacity periods. Having a standing order is the best way to guarantee you always have fuel, but how do you figure out how much to get each cycle? We have another formula! Take the number that we calculated above and divide it by 52, which is the number of weeks in a year. That will be, approximately how many gallons you need to order. Then you would divide that number by 7.9 because a standard 33-pound cylinder holds 7.9 gallons. Reputable suppliers of forklift propane in Brampton and the GTA will also offer a number of cylinder sizes. Once you find out how many gallons the cylinder holds, the formula is the same. We recommend having one extra cylinder per forklift for emergencies. This should be added to an order when you use up your emergency supply. If you can anticipate using this supply, you should add this to the earliest order possible. Because propane is safe to store in both hot and cold temperatures, you can also play it safe and order one extra cylinder per forklift per week. Also, automatically ordering emergency cylinders eliminates any potential mix-ups with changing standing orders. The next calculation depends largely on your company and how it uses propane. Does your company use propane in spurts or do you have steady usage throughout the week? If your company uses propane steadily throughout the week, you could potentially work with biweekly or monthly orders. If your company uses propane in spurts, you may want to schedule weekly or biweekly orders. If you’re unsure, biweekly orders are your safest bet. This may seem like a bit of work, but it’s worth taking the time to figure out how much you need, so you’re never without forklift propane in Brampton or the GTA. A reputable propane supplier can also help with these calculations. Josef Gas offers five ways to order: by phone, by email, by standing order, fax or in person. Contact us today for more information on how we can help calculate your standing order, so you’re never without forklift propane in Brampton or the greater Toronto area again.